appointment times? How annoying is it when customers don't show. Does a missed appointment mean missed revenue for your business? 2010, 2013, or 2016. You'll love how easy setting up each reminder is. Once you've signed up for FREE trial of Appointment Reminder we will provide you to install the Outlook Plugin. 2 Choose Which Appointments Should Receive a Reminder Messsge. Simply right mouse click on any Appointment in Outlook Calendar and click "Create Appointment Reminder". 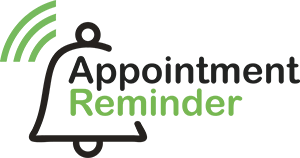 Appointment Reminder will then schedule your reminder sent at the desired time. Write your appointment reminder scripts. You might have different scripts for different services. In Outlook you can choose which to script to use when you setup the reminder. Because you have pre-written scripts this can save a lot of time. Appointment Reminder will start sending automated reminders once you've turned on Auto Send. By default the system will send your reminders 24 hours before the appointment or at another time you choose. Customers will reply to your reminder messages and you will be notified via email. You also have the option of updating the appointment in Outlook Calendar so you can view all correspondence in the calendar. Can you use the plugin on multiple computers? Yes. You can install the plugin to as many computers as you need. How do you install the plugin into Outlook? Does the plugin support multiple Outlook Calendars? Yes. If you work in an office environment where you share Outlook Calendars between staff then all changes made by one staff member will reflected across the whole team. This is important so you can see which Outlook Calendar event have had reminders created and which events have had replies from customers. Does the plugin work with Office for Mac? Unfortunately No. plugin aren't supported on Office for Mac so we don't have a programming way to build an addin. Do I have to pay for the Office plugin? No. There are no additional charges for using the office plugin. You only pay for the sending of the reminders. You can view our pricing page here. (http://appointmentreminder.com/pricing). Yes. You only need to create the reminder once and all occurrences of the recurring appointment will have a reminder set. What happens if I delete or move an appointment? Appointment Reminder will be automatically updated and kept in sync with any changes you make on your Outlook Calendar. Even if you move an appointment by dragging it to a new time slot. Do I have to write a reminder for each appointment? No. You can create one or many templates which you can then use in Outlook. The templates have "magic text" that will automatically add the time and date of the appointment. You might create different templates for different aspects of your business such as a different service or a different staff membe. Does my computer need to be left on? No. Once you create an appointment reminder our servers will send the appointment reminders at the correct time. When will the reminder messages be sent? We have different options for when the reminder message will be sent such as 24 hours, 1 hour before etc. You can choose this when setting up the Appointment Reminder. You can also set your default preference, this way you don't have to change it for each appointment. What happens when someone replies to a SMS message? You have the option to automatically update the Outlook Calendar event with replies from customers. If you have this turned on and your customer replies with Yes or '1' [CONFIRMED] will be added to the title of the calendar event. If your customer replies with No or '9' [RESCHEDULE] will be added to the title of your calendar event. Additionally the reply can either be emailed or sent to your mobile phone when someone replies. How much does a lost customer cost your business? We're confident you'll increase revenue using our reminder system, we offer a full money back guarantee anytime if you're not happy with our servis for ANY reason.